Our company does refrigerator repair service Bend. We are top professionals with more than 30 years of being in the business behind our belt. All of our technicians are factory trained and certified. They can fix any kitchen or laundry appliance that you have. 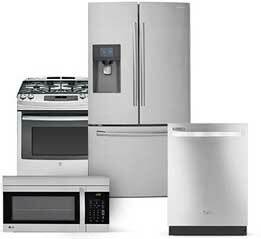 We specialize in all major brands of appliances. For example Asko, Bertazonni, Bosch, Dacor, DCS, Electrolux, Fisher&Paykel, Frigidaire, GE, Jenn-Air, KitchenAid, La Cornue, LG, Liebherr, Marvel, Miele, Perlick, Samsung, Siemens, Sub-Zero, Thermador, Traulsen, True, Viking, Whirlpool, Wolf and many more. If you need affordable and refrigerator repair service Bend, we are a company for you. Give us a call, and we will immediately schedule you for a convenient appointment. Our highly skilled technician will examine your appliance and diagnose it correctly. He will find the best solution for you. We will order parts for your appliance from factory dealers. Finally, we will professionally install those parts. Just one appointment with us and your home appliance will work as good as new. And it will last you for a long time without breaking again. Our company OR Appliance Repair offers unbeatable deals for our customers. You get a FREE service call with repair as well as accurate estimate before any job. 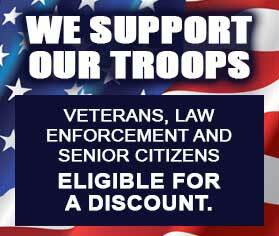 We also offer discounts for seniors, veterans and law enforcement. You can be sure that you are getting the best price and the best appliance repair service possible. We will fix dishwasher, refrigerator or any other appliance for you. Our company does appliance repair Bend Oregon. For example we service Deschutes County, Alfalfa, Awbrey Butte, Bend, Black Butte Ranch, Brothers, Cloverdale, Deschutes River Woods, Eagle Crest Resort, Hampton, La Pine, Millican, Old Farm District, Old Mill District, Orchard District, Redmond, Sisters, Sunriver, Terrebonne, Three Rivers and Tumalo. We are a family owned and family managed company. We have been doing appliance repair for more than 30 years and know everything there is to know about appliances. Call us if you need commercial appliance repair or residential appliance repair. For refrigerator repair service Bend you can reach us at 541-948-8835 or fill out our short online contact form. Our technician will get in your case right away. We will schedule a convenient appointment for you. We work around your schedule. Our technician will come to your house. He will immediately start figuring out what is going on with your broken appliance. He will usually take it apart, clean it and run diagnostics. Once the problem is found, he will talk to you about the best solution. Sometimes all it takes is a little bit of tinkering. But sometimes, parts will need to be replaced. We will find appropriate parts for you and will make sure that you get the best price on them. Another appointment will usually be scheduled within few days. Our technicians will install them as soon as those parts get delivered. After the job is done, our technician will test your appliance to make sure it’s fully functional and safe to use. He will not leave until everything is working perfectly. He will also clean up after himself and will dispose of all used parts. You can be sure of great service and accountability from our appliance repair technicians. 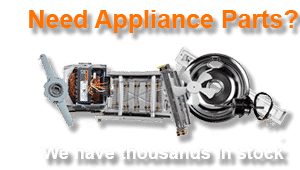 Best appliance repair Bend OR. We simply number one, when it comes to refrigerator repair service Bend. Our company only employs the best of the best technicians who have proven themselves both technically and in terms of service. Our technicians are all factory trained and certified. They are also very polite, diligent and punctual. We guarantee that your appliance will be working as good as new after an appointment with our team. If you need refrigerator repair service Bend, we are the company to help you! To schedule, an appointment for refrigerator repair service Bend, please call us at 541-948-8835 or fill out our short contact form. We will be happy to set up a convenient appointment for you. Our friendly and highly skilled technicians will soon be on their way to repair your appliances. We serve Bend, Eugene, Central Oregon, Crook County, Deschutes County, Portland and Jefferson County. Best home appliance repair & service in Bend, Oregon. Our company does refrigerator repair service Bend. We are top professionals with more than 30 years of being in the business behind our belt. All of our technicians are factory trained and certified. They can fix any kitchen or laundry appliance that you have.